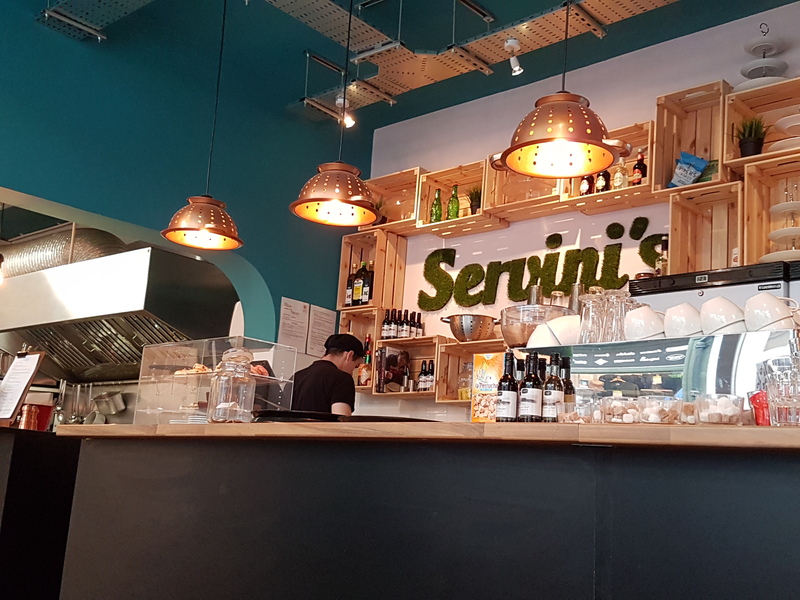 No, there is definitely a something old something new vibe going on, as Servini’s has had a revamp, and is ready to tempt me occasionally away from some of Cardiff’s fabulous coffee shops (Coffee#1 & Coffee Barker particularly coming to mind). 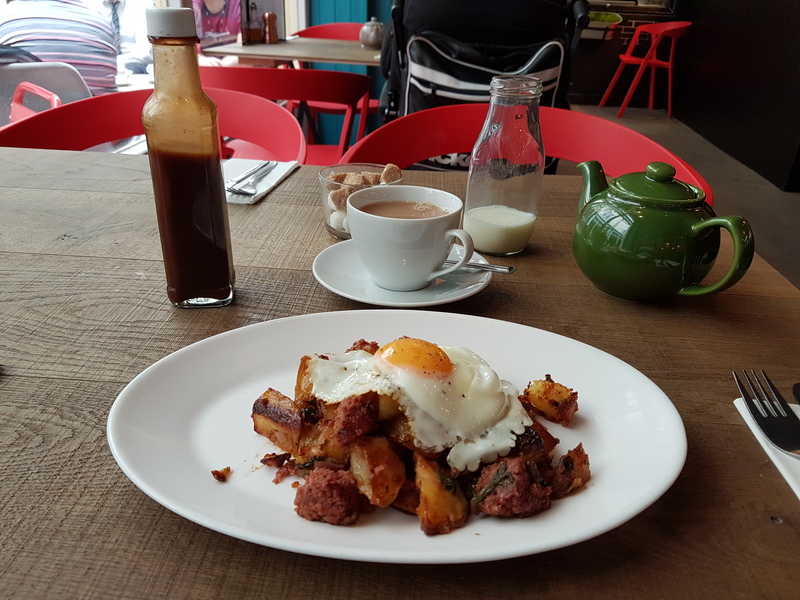 The perennial high quality all-day-breakfast with tea or coffee is still there for the die-hards amongst you. 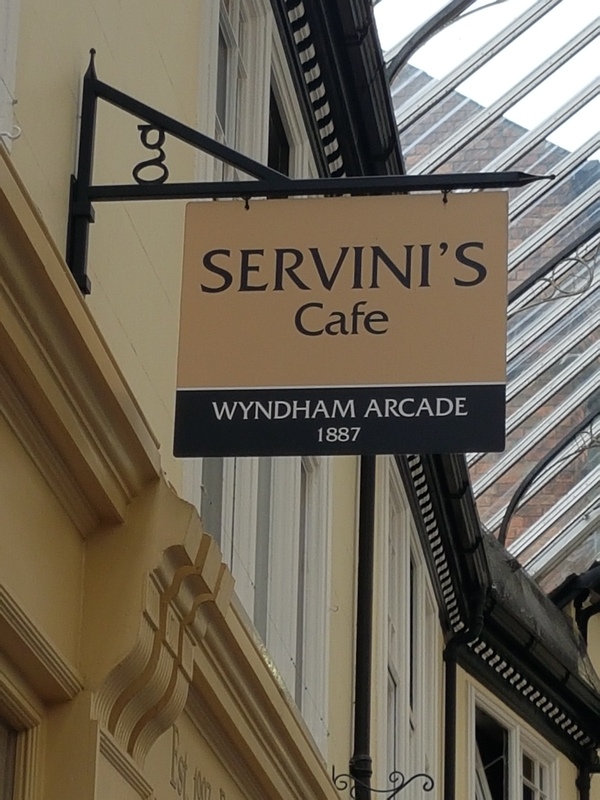 But gone is the salad counter, and old-style formica tables with chairs rooted to floor and table to prevent the Wyndham set of old resorting to convenient projectiles if the spoon doesn’t stand up in the tea! Now it is ‘anyone for cushions at ten paces’? 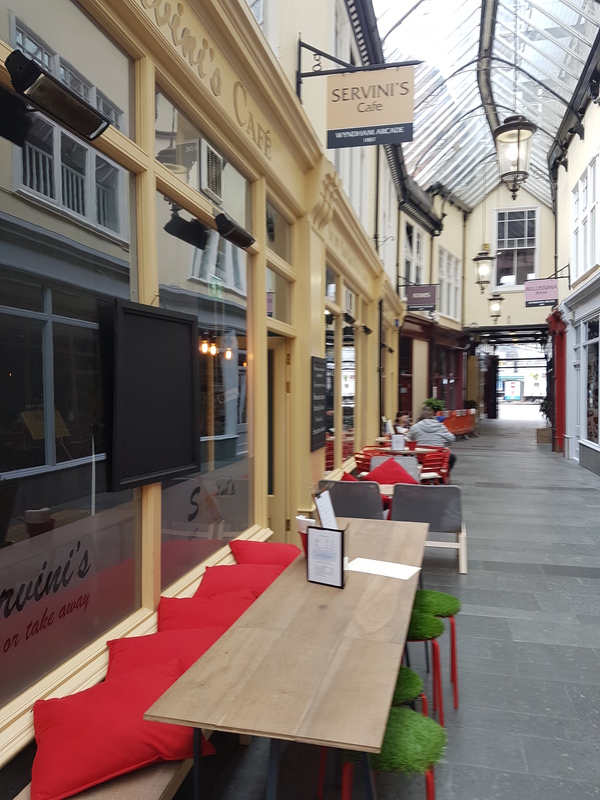 I jest, as this has always been a higher class of caff, but now seems to be branching out to slightly wider tastes… you can even indulge in steak with a choice of vino or birra, should the fancy take you. 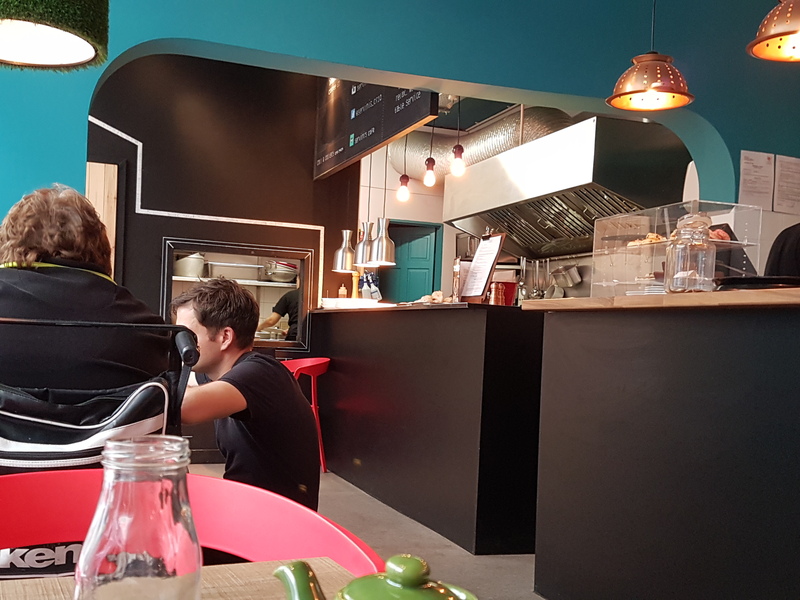 The open kitchen has been retained… always a sign of confidence in the cooking. And the new staff have clearly been recruited through a customer care symposium, largely unattended by their predecessors. 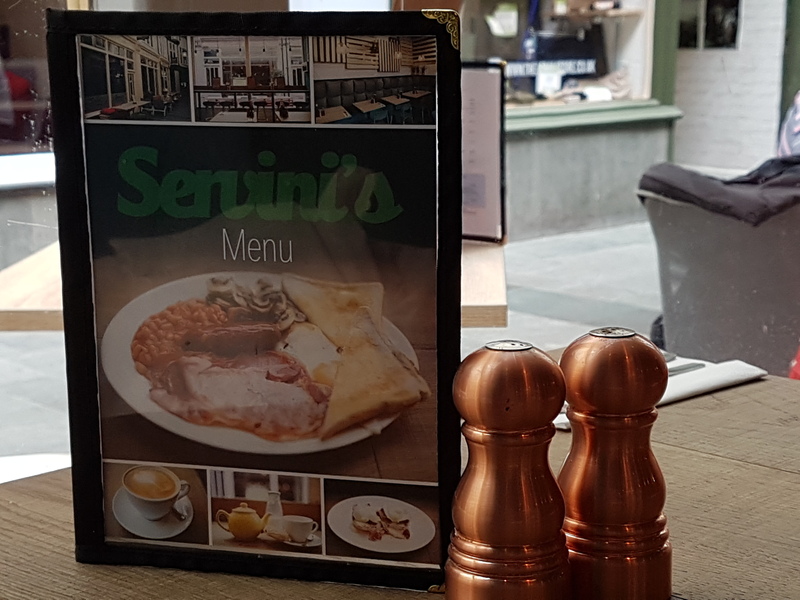 So, until we speak again, if you happen to be drifting by the lower end of St Mary Street, and feel that need for some good quality refreshment, there are now plenty of options in the vicinity, but the all new Servini’s gets a recommendation from this satisfied cat. 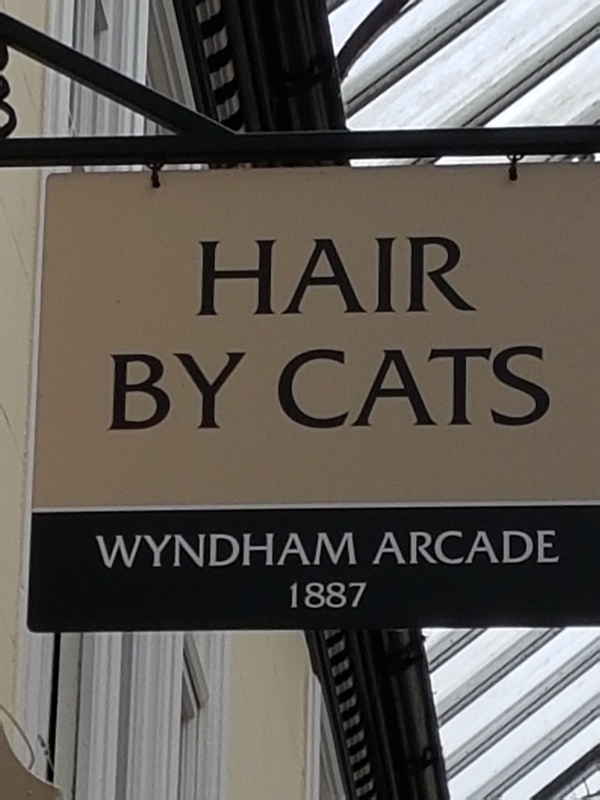 This entry was posted in Foody cat and tagged all-day breakfast, cafes, Cardiff, Cardiff arcades, cats, cats humour, Eating, food photography, Foody cat, photography, pictures of Cardiff, Servini's cafe, Wales, Welsh businesses, Wyndham Arcade by Steve Morgan. Bookmark the permalink.